In the waves of online identities and our need to communicate, we are having a rebirth of society. Societies functional aspect is beginning to open the door to many avenues of being connected. I have been passing an idea back and forth in my head and it is becoming a common thread in which I revisit quite frequently. We now have dozens and dozens of possibilities for each of us to experience. Whether you place your status into your communities or participate in geotagging mobile apps you are actively participating in the the new society. It’s not hard to imagine why some people are more into it than others. I mean, for what it’s worth, its a bit revealing. I sometimes get a feeling that everyone knows a little too much. Maybe they know more than I would like them to know. I am sure this is true. But this is the exact feeling of insecurity and blinding faith that is driving the social driven communities to thrive so well. It’s not so much what you are putting out there but it is more about how much people are interacting. It’s a communal therapy session. Good times, sad times and middle times….all shared among friends. Years ago you couldn’t have told me that I would eventually be in touch with just about everyone I have ever met and more. I would have said something crass and levitated to an idea of virtual worlds where everyone is a mask, hiding it all to misinform. Virtual worlds failed because the real thing is much, much more interesting. I understand why you haven’t joined facebook. Heck, I even understand why you can’t remember your email address. I know you don’t really care about the things that I do. It’s why we are friends. It’s the ol’, “Why do I want to tell someone what I am doing all the time?” question. It’s frightful, and new. We don’t like new unless it’s something we can read reviews about it and get a 30 day free trial. For the most part, participating in the online social arena is a healthy lesson in humility, honesty and altruism. Facebook would not be so successful if people didn’t have their own views and their own world revolving around them. If you decide to join in the new society you must make the most of it and this may help. Your first thought should be about your audiences. You should have many concerns. One of the most important is your current employer. You family and friends play lightly on your visibility and enjoy your banter but your employer is quite the opposite. Many people have lost their jobs due to excessive posts about extracurricular activities. You are ahead of the game if you already think you should keep your personal life….well…..personal. Be smart. Define your goal. My first experience with online communities were Beta versions of AOL in the mid 90’s and all I wanted to do was learn. Many people today chose to just stay connected with family. Others use Twitter to stay ahead of breaking news. Do you want to know something? Chances are that with the right tools and the right amount of interaction you not only have the power to learn, but to participate. It’s important to know what it is you want to find by immersing yourself into a new community. Finding the best communities. It is important you allow yourself to enjoy the communities that are already established and fun! Facebook is a great example. It is the benchmark in which most social communities compare themselves to. You can find your friends relatively easy and it will be like playing an old video game you haven’t played in years. It’s communicating and its fast. Go play. No need to be shy. You are here and you plan on staying around. Speak up and often. It’s the sharing of info and news that make it a community. Be helpful and engage people. Relax. Social networking is easy. Your willingness to interact with others should become second nature very quickly. Don’t buy into the hype where you need to be on all the time or you will miss something. Keep your personal life and do not try and replace online relationships with in person relationships. It’s a new society now but personal friends are close to priceless. Expand who you are. 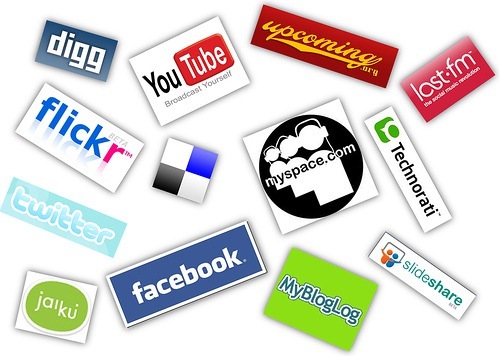 It is your responsibility to be the first person to post something about YOU on the web. Google yourself. Find anything interesting? Well….you should have. The new business card should be a Google search page. No more paper squares. Maybe you don’t want to be found. If so, privacy is a concern for any prevalent site. If you can’t find a privacy statement then maybe the site you are using is not concerned about it at all. Start a blog. Write about your passion. Find people who share these passions. Learn from the new structure of society and be there to help others. I haven’t made any assumptions here about who will read this but if the unassuming social media newbie runs across this entry then I wanted to give them a nudge. I am not saying it is for everyone but there are a few things to keep in mind for the uninformed user. The biggest tip of all is to be helpful. Your online social presence is a result of your online relationships just as your in person network is a result of your personal relationships. You are in control much as in everyday life. Knowing the difference is a key to thriving in the new society.